So; when is the best time to write your Will? TODAY! Statistics give us a guide on how many people die each year, their age, their gender, whether they had made a Will or not, etc. ; only, not when it was due to happen and how. Birth, death, minor tragedy; there is never a convenient time for it. And because families and relations being what they are, often these problems arrive in bunches. “It won’t happen to me”; “I don’t have time”; all too often takes people by surprise; and at the most inconvenient of times. Some folks are lucky. Some are not. We all have a life to live, some shorter, some longer. So in view of that risk and uncertainty, it only makes sense to follow the ‘boy scout’ motto and – ‘be prepared’. Why would you want to make your Will? Because it could be vital to someone you love. By dying ‘intestate’ – i.e. to die without a valid Will in place – your living situation at death, may not have any bearing upon how your estate ( your wealth), will be distributed to you loved ones. For example, you may be in a relationship with step-children. Or, in a relationship cohabiting, albeit separated from a spouse. These family members have no legal connection to you. And that arrangement, could turn into a very expensive legal matter. Remember, you will not be around to explain what you really wanted and the law has a set of rules that matters must follow. Statistics, statistics; and whose fault is it then? Sadly, many folks have more important things to deal with in their day than make an up to date Will, when one considers that statistics tell us that about 2/3rds of recorded deaths in the UK, pass without recording a Will. And more besides, of those who do bother to make their Will, nearly 1/3rd will turn out to be invalid. Many of these are of the DIY, off-the-peg variety. The surviving family in this situation has no end of problems, both legal and financial, because matters have to follow a well-trodden path, including fending off family argument in court, before anybody can get any inheritance. It is not untypical of these post-death events to cost the family several hundred times the price, of having made your Will under the guidance of a good professional in the first place. If you have minor children, or children from a previous relationship, then it might be wiser to seek good professional help than attempt a DIY. Research your Will writers, solicitors etc. thoroughly. And do not assume. Will writing is not regulated and all and sundry claim to be expert. Be exact. Leave no room for interpretation. Your Will comes into play when you are no longer around to explain what you meant. Any doubt costs money and time and can result in ‘not what you wanted’, including partial intestacy of the Will. Start by counting up what you are worth. All of it. Home. Work. Play. Once you know that, you can then decide how you want to give it away and who the parties to your Will are to be. Be more exact. Leave no room for doubt. All names and addresses, dates of birth etc., and ‘factual’ facts must be correct. Divisions of assets need to be specific or given in percentages, such that if in the future the value of the gift, a second home say, or a business, changes in value – up or down – then the proportions remain constant and avoids doubt and disappointment. Any item, needs to be easily identifiable from its description. If you have a previous Will, you can use it as a template. Only check and re-check that the new information is correct. And ensure that you revoke the previous Will. Otherwise matters within both Wills will be merged. And that will make a real legal quagmire. Not all families are ‘happy families’. The TV Soaps are a case in point. You may have a favourite. You may not. What you leave and whom you leave it to, is your choice. This is ‘your Will’. However, be aware that your relationships and past promises may come out and bite you. If, what someone was expecting by virtue of ‘relationship’, ‘word’ or ‘nod’, does not turn out in that way, it could very easily lead to a costly litigation in a Will challenge. After all your choices and preferences have been taken care of, you need to leave the undefined gifts to the residual estate. This will sweep up the stuff that you have missed, or not included in your specific choices. Think very carefully about the people who will be your personal representative after you are dead. This is your executor. The executor is your ‘estate manager’, the person who will deal with your affairs and close everything down. The person needs to be financially adept and above all, trusted beyond reproach. And it is always a good idea to have at least two names in case one dies or cannot act for you which could raise legal consequences. It saves a lot of costs. You can actually name as many executors as you want, albeit a maximum of four will be elected for probate. 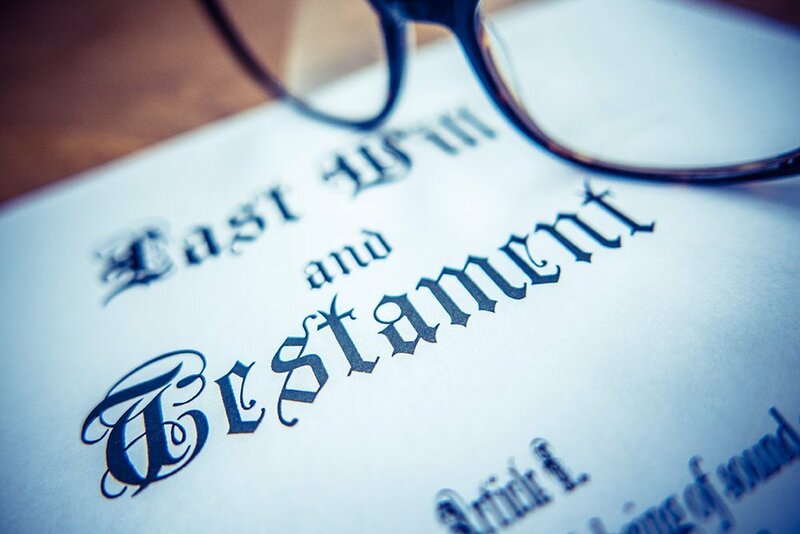 Albeit statute carries some default powers for the executor, it is much better to empower your executor with specific powers that he can see in the Will. For example power to pay executorship expenses and debts including mortgages secured on real or leasehold property and any inheritance tax in respect of property. These all need to be dealt with before any beneficiary gets a look in. The executor can be a one duty person; namely, his work is completed when the gifts have been distributed. If you have property that needs to be sold and children of age less than 18 years then you will need to elect a trustee to take over. Your trustee can be the same person as your executor, however, it all depends on the situation. A minor – child – is not legally authorised to give a signature, his gift will therefore be looked after by the trustee. Also, your minor child will need to have a testamentary guardian to look after them, until they ‘officially’ reach maturity at age 18. All these responsibilities can be the one and same person. However; in such a situation it might be safer to get some professional legal counsel. Do not assume or guess – “ it will be alright on the night ”. There is too much at stake and the costs of putting it right, massive. Your Will is just another piece of paper if it is not correctly signed by you before two independent witnesses who also must sign in the sight of you and of each other. And if there is more than one page, have each initialled by all parties. Make sure that you all use the same pen and apply the same date. You could take it to a solicitor or other legal professional and ask them to check it over before you sign and witness. Your ‘wet signed’ Will is your only Will. A copy has no validity. Therefore it is a good idea to let people know that you have the Will and where it is kept. There is little sense in making the Will and secreting it away so that nobody knows about it, or cannot find it when it is needed. Also, it is a good idea to make a copy or two and mark these as a copy, perhaps in blue pen, so that it is clear it is a copy of the Will, not just a random ‘tutorial example’. At Edmunds & Eve, we work closely with individuals who want to write their Wills and plan their estates. We can help you understand what will happen in the event of your death, and what steps you can take to ensure you have everything you need covered in your Will. For more information, or to book your consultation, get in touch with us today. Next post: Funeral Plans – Are They Worth It?